Maria R. Perez, age 82 of Joliet, IL formerly of Chicago, Oswego, and Chula Vista, CA. Passed away suddenly, Sunday, October 21, 2018 at Presence St. Joseph Hospital of Joliet. She was born September 3, 1936 to her loving late parents, Pablo and Justa Gaeta in Jalisco, Mexico. Cherished wife of the late Jose G. Huizar Perez, wedded on April 21, 1958. Beloved mother of Mercedes (Juan) Mota of Chula Vista, CA, Rosario (Luis) Anaya of Joliet, IL, Connie (Greg) Guidotti of Dyer, IN, and Rosie Perez of Joliet, IL. Dearest Ma Cuca of Luis (Jessica) Anaya, Miguel Anaya, Gabriela (Ferid) Rodriguez, and Vanessa Anaya, David (Francesca) Mota, Andrew (Giovanna) Mota and John Mota, Jenna and Anthony Guidotti, Daniel, Jessica, Sebastian and Jasmine Briseno. Great-grandmother of Eliana, Nayeli, Nevaeh, Anaya, Ricardo Villegas, Mariah and Alexis Cantor, Giovanni , Liam Anaya, and Emiliano Rodriguez. 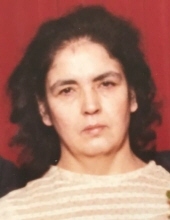 Fond sister of the late, Santos, Simon, Antonio, Jose Concepcion, Maria del Refugio, Maria de Jesus and Maria Guadalupe. Maria was a woman that would always put everyone first, forgetting about herself. Whenever anyone came to her for advice or at time of grieving, she always had a word of encouragement in the name of God. She was a Guardian Angel for all of her family. Mass of Christian Burial: Friday, October 26th 10:30 AM at St. Mary Immaculate Church, 15629 S. Rt. 59, Plainfield, IL 60544. Interment to follow at St. Mary Immaculate Cemetery, Plainfield, IL. To send flowers or a remembrance gift to the family of Maria R. Perez, please visit our Tribute Store. "Email Address" would like to share the life celebration of Maria R. Perez. Click on the "link" to go to share a favorite memory or leave a condolence message for the family.